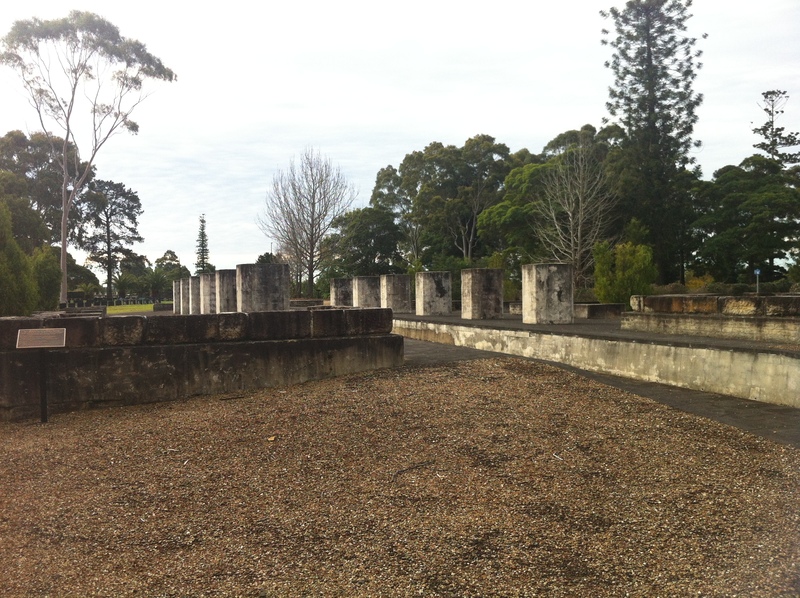 A fact which escapes many people is that Rookwood Necropolis, located in Sydney’s west, is the largest of its kind in the Southern Hemisphere. It’s huge. It has its own postcode. 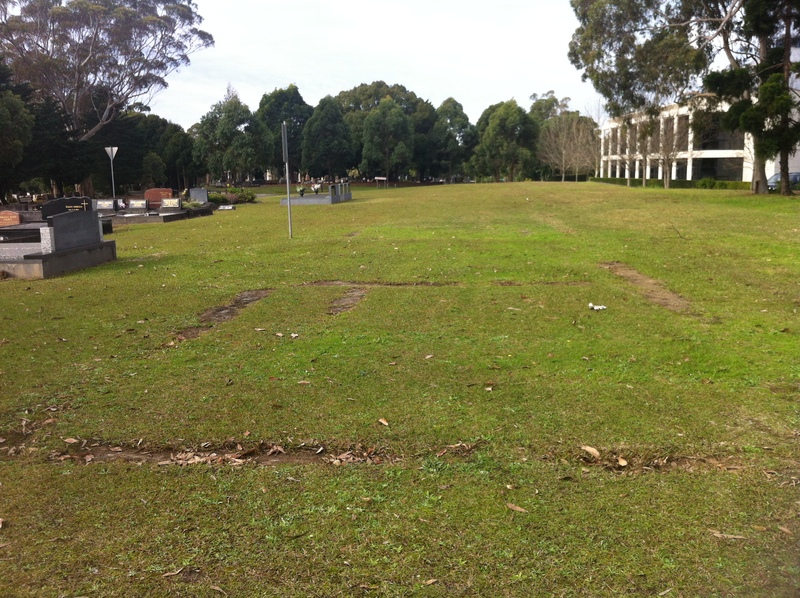 Originally named Haslem’s Creek Cemetery, it opened in 1867 as a replacement for the close-to-capacity Devonshire Street Cemetery, itself a replacement for Sydney’s old burial ground, where Town Hall now stands. For once, they chose a winner – nearly 150 years later and it’s still not full. A visit to the cemetery makes clear that although much of it is made up of graves from the distant past, it’s still a working cemetery and there are new additions all the time. But back when cars weren’t so commonplace, the easiest way to get a corpse and mourners from point a to point b was by train, and the premier way to do that from 1867 onwards was by rail. Trains would depart from Regent Street’s Mortuary Station and deviate at Lidcombe to the Rookwood line. Rookwood’s Mortuary Receiving House No. 1, 1870. Image courtesy State Records NSW. Brisbane Courier, 13 Aug 1932. Adelaide Advertiser, 27 Aug 1896. Rookwood’s Mortuary No. 2 Station, 1948. Image courtesy I. K. Winney/John Oakes. No. 3 was the only other station in the line to have had any kind of thought put into its design, and that’s partly because it was built from the former waiting rooms of No. 1. Rookwood’s Mortuary No. 3 Station, 1948. Image courtesy I. K. Winney/John Oakes. No. 4 was added in 1908, when the line was at its peak (particularly on Mothers’ Day). Again there’s no disguising it’s really just a shack along the platform. Rookwood’s Mortuary No. 4 Station, 1948. Image courtesy I. K. Winney/John Oakes. As with Regent Street, as cars became the preferred way to get to and from (or in some cases, just to) a Rookwood funeral, the train line’s usefulness declined. It’s not like residents could catch the trains to and from work. In 1948, the line was decommissioned, and in typical CityRail style wasn’t completely removed until 1965 (even now, a Cemetery siding still exists off Lidcombe Station. Nice work, fellas). The stations themselves then passed on to their next life, some more interesting than others. The site of No. 4 has since become a bus stop. Buses replaced trains as the public transport of choice to Rookwood after 1948. I’m assuming corpses still ride for free. Neither No. 4 or No. 2, the lesser stations, appear on the current Rookwood map. It’s almost like they don’t want you to know where they were, but the truth is that there’s not much at either site, so there’s almost no point in going there. No. 2, the least impressive of any of the stations, is today just a large green curve of grassy land bordered by tombstones – not exactly a standout spot at Rookwood. There’s no sign or anything apart from the hint on the map to let you know what this is. It’s so nothing that you almost wonder why they bothered leaving it there, but there it is. No, the real story behind the Rookwood stations is the fate of Receiving House No. 1. 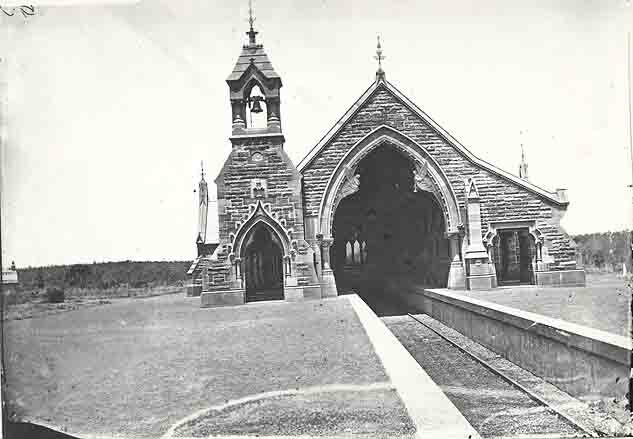 Rookwood’s Mortuary Station No. 1, 1952. Image courtesy State Records NSW. After 1948 it fell into dereliction. A bushfire destroyed all the woodwork, it became a popular place to drink at night (why?!) and, indignity of indignities, someone pinched the bell. Now let me stop this right there; someone stole the heavy bell? Who does that? How do they do it? Did they plan it? Case the bell for a few weeks before realising that the residents couldn’t do anything about it even if they tried? Did they back up the ute and load it up? Where is it today? Baffling. The Railway Department needed to offload this bomb, and in 1952 it went on the market. It’s a strange decision; if RailCorp suddenly decided to close, say, Croydon Station, would it appear on the market not long after? Or maybe on eBay, with the Rookwood bell? Presumably because no one had internet back then, the station still hadn’t sold by 1959, when a Reverend Ted Buckle had a brilliant notion. All Saints Anglican Church, Ainslie, Canberra. 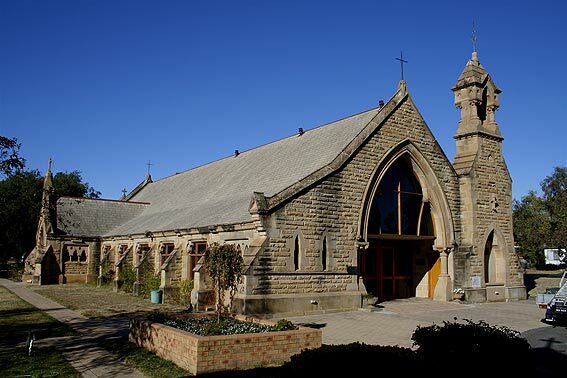 The station was bought by the All Saints Anglican Church in Ainslie, Canberra, to be its new building. It was demolished and reconstructed brick for brick…well, almost. Notice anything different? First off, they had to get a new bell, but second, the bell tower’s on the opposite side. Did they just forget where it had been in the first place? Didn’t the bricks not match up? 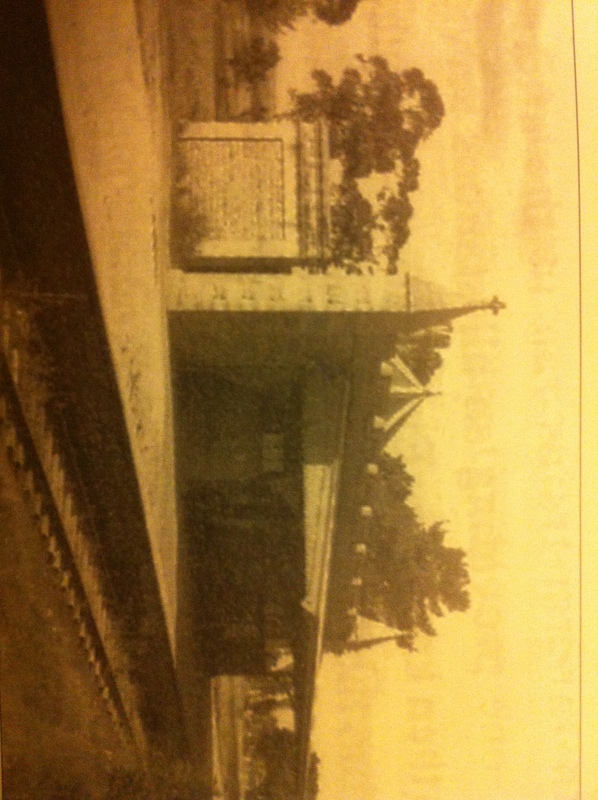 Anyway, churchgoers in Ainslie still attend Mortuary Receiving House No. 1 each week, mostly unaware of the building’s history (despite the fact that it’s discussed in detail on the Church’s website). Meanwhile, back at Rookwood, a monument has been built to commemorate No. 1 and the Necropolis’ rail history in general. It looks nice, and it’s very subdued. It doesn’t look out of place in the gloomy surrounds of Rookwood, and residents no longer need to worry about the noise pollution of the trains. Happy endings all around…especially for that sicko who’s out there somewhere, gleefully ringing his ill-gotten bell over and over, laughing maniacally. 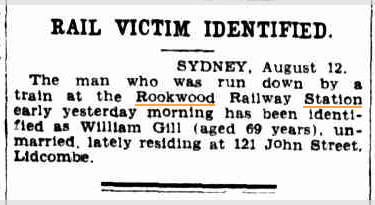 Only one of the four newspaper clippings actually refers to the Mortuary Station, the other three refer to the now removed Rookwood Station on the mainline between Lidcombe and Flemington. In that case, it’s no wonder they removed it! I hope they buried it deep. Thank you for clarifying about the mainline station. Many people argue that the only stations were in the cemetery. As a tour guide in Rookwood for nearly 20 years I heard heaps of tales. The ground levels in the photos indicate that the photos are accuratly labeled. 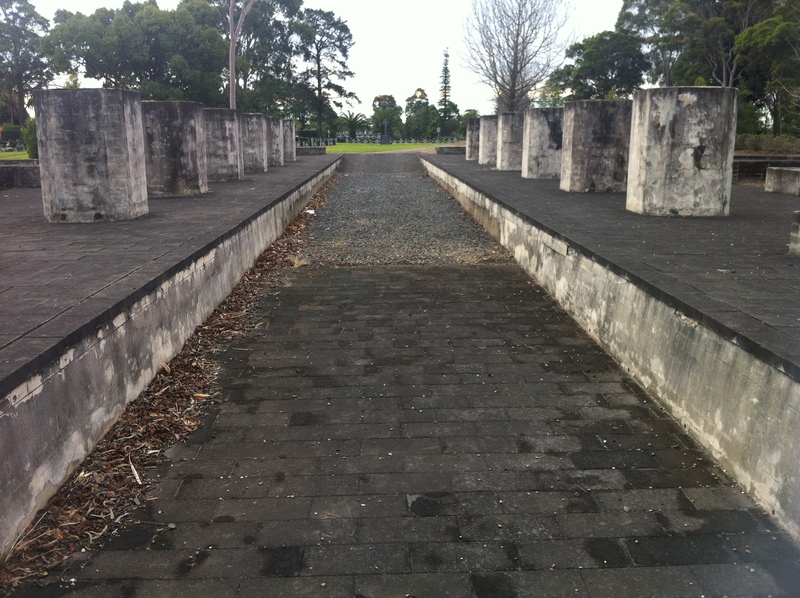 The original platform existed prior to the expansion of rookwood cemetary, opposite the northern end of where Willian Dr met Railway Street. 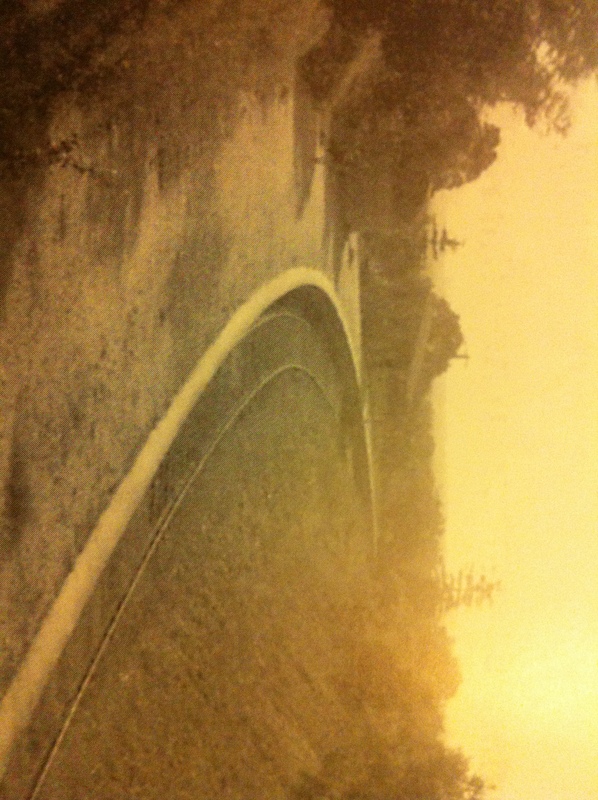 With the expansion of the cemetary, the station was moved to about 15m NE of the East st and Railway St roundabout. 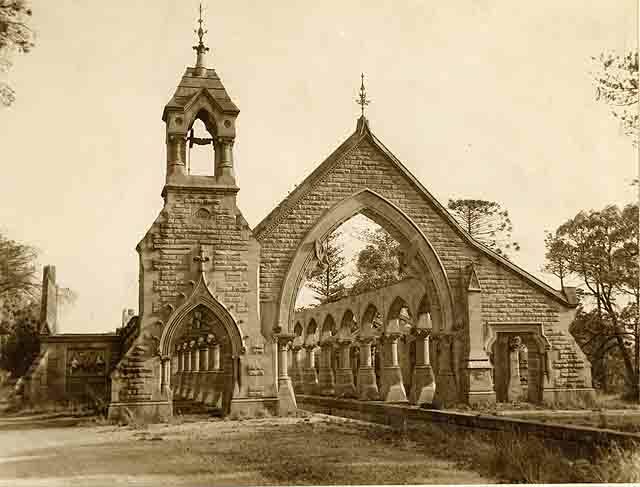 Not long after the railway line was extended into the cemetary with increase of traffic, and Mortuary Staiton 1 was opened in 1897. 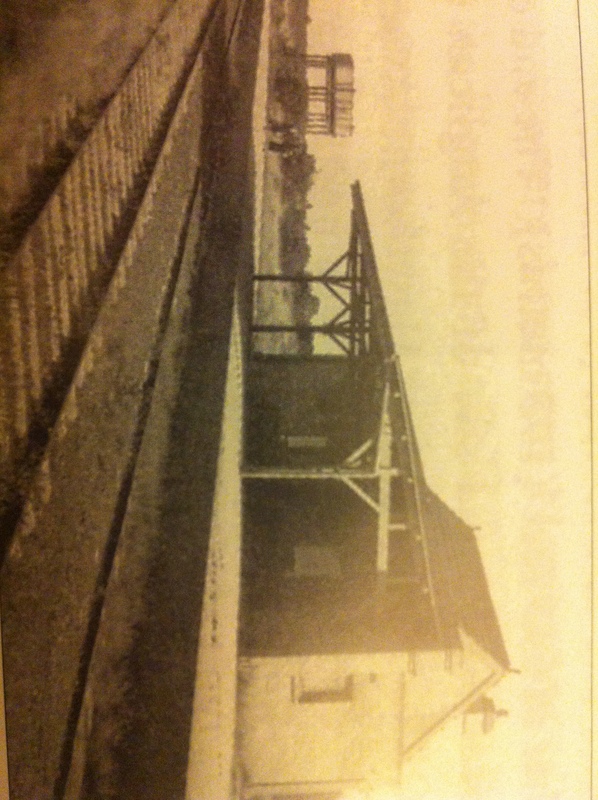 Within 11 years the final station had been built and the line was at it’s maximum point. All stations closed in December 1948 with the expansion of the bus network. Eleven years to build a few kilometers of track is very slow, around that time the NSW railways could lay about 11km of track in a year!.